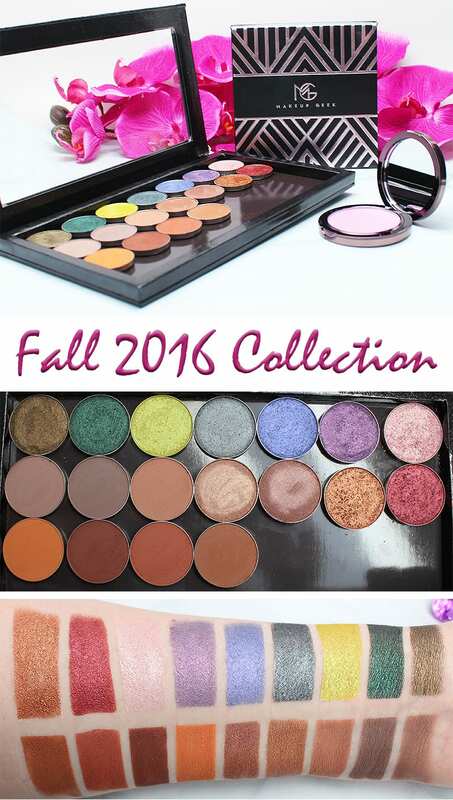 Today I’ve got the Makeup Geek Fall 2016 Collection swatches to share with you. I’ve also done comparison swatches for my favorite colors, of course. This collection is very nice, formula wise. 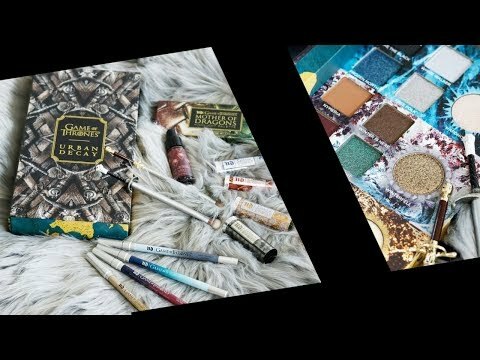 Makeup Geek Get 10% off at Makeup Geek with code PHYRRA! This is a dirty khaki / olive metallic. This is an interesting twist on a neutral that I think will be very popular. You can pair it with a soft crease color like Bake Sale or choose a dark green. This is a very pretty emerald green metallic. I think it will look great with most of the existing greens in the collection. This is a really gorgeous, multi-dimensional lime green. Limelight would make for a great center of the lid or lid shade and it will work perfectly with greens and blues. This is my favorite of all the new shades. Sorcery a stunning blue-toned grey metallic. This works well as an outer lid color or lower lid shade on me. This is a really pretty purple with a deeper purple base and stronger pinky purple shimmer. I really love this color. Hype works well with pinks, purples and berries, especially as a lid color. Light periwinkle shimmer. This is great to pair with blues or purples as an inner lid color. Metallic pale pink. Nostalgic works well as an inner lid shade or a highlight. Such a pretty metallic red. Curtain Call a beautiful color to pair with Legend. This is an absolutely stunning golden bronze metallic. Pop Legend on top of Cherry Cola in a halo eye and you will be blown away by the results. This is a light taupe brown matte. 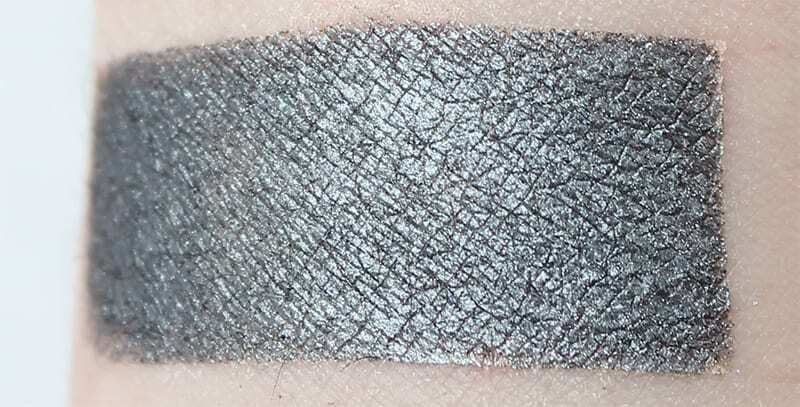 If you’re looking for a soft no-makeup eyeshadow color, I think Bandwagon would make a great natural crease color. This is a cool toned taupe brown matte. To me Faux Fur is a deeper version of Bandwagon. This is a light brown with peach undertones matte. Bake Sale would make a great transitional shade. I think it’s flattering on my skintone. 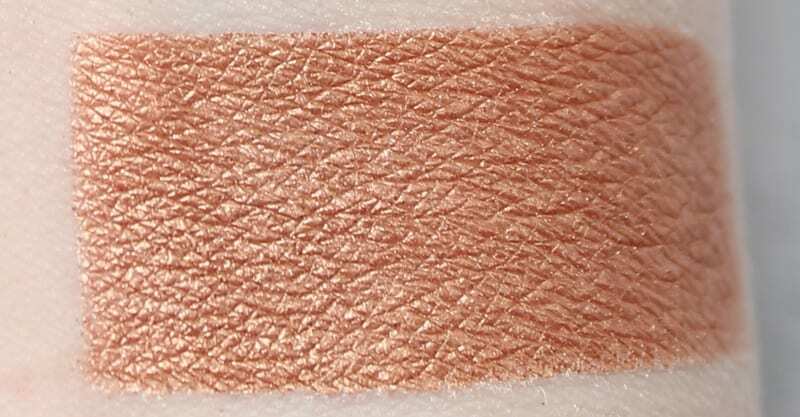 This is a light bronze shimmer. Pocket Change is a nice daytime lid color for blue eyes. 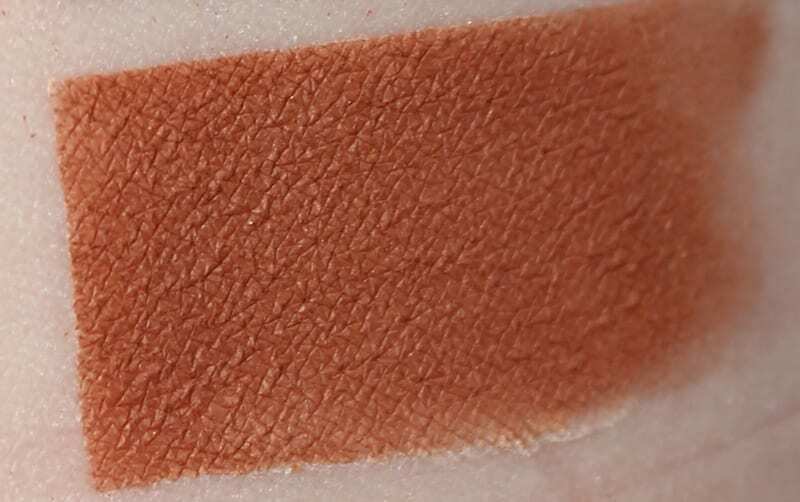 This is a soft slightly rosy brown shimmer. I think Lucky Penny would work well on brown eyes. 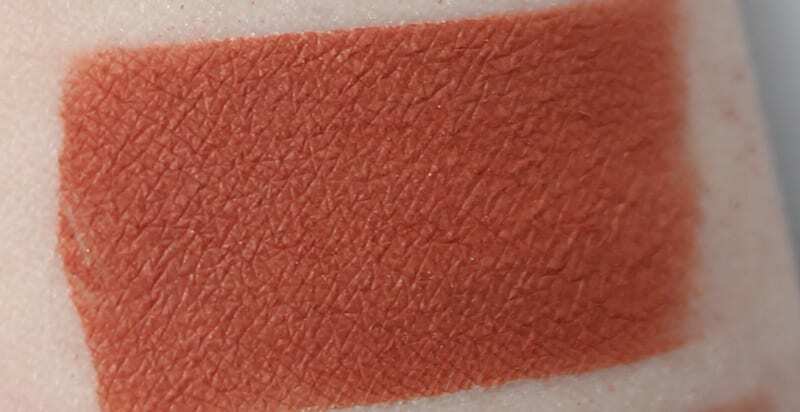 This is one of those popular orange-brown matte shades that I see everyone making this year. I think Sidekick is the perfect name for it. This is a pretty soft pumpkin orange matte. 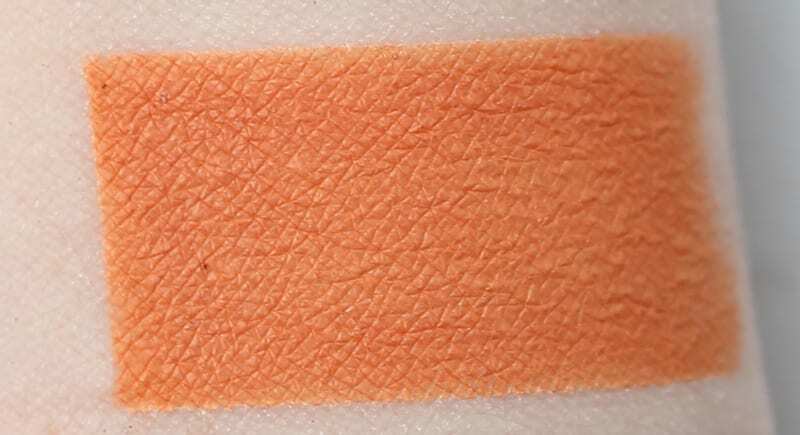 I actually think Early Bird would be fun to use with Sugarpill Flamepoint. This is an orangey brown matte. This is an orange-toned brown matte, deeper than Tan Lines. 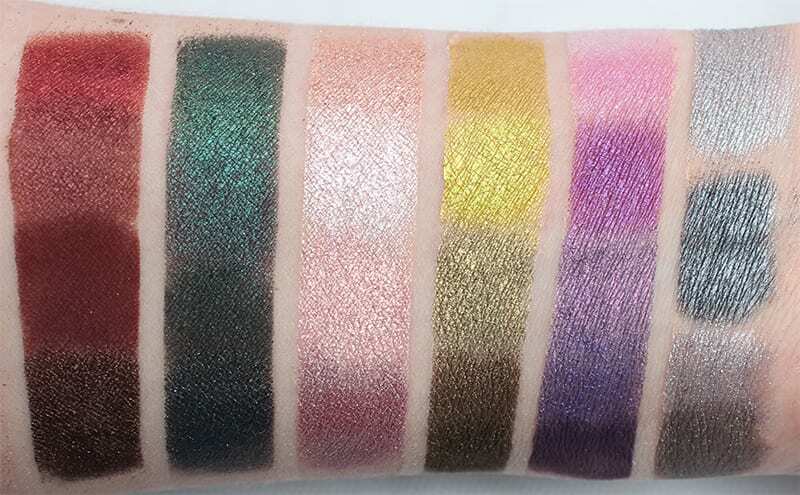 I definitely think you could try the colors that I swatched together as eyeshadow combos if you’re looking for tips on how to pair eyeshadow colors. I will be doing a look with Kaleidoscope and Sorcery soon, because they’re just so stunning together. I also think that Masquerade, Hype and Caitlin Rose are a beautiful trio, especially with Phantom to highlight. Between the two sets, I really like the foiled better than the regular eyeshadows. With the foiled, I feel like you’re seeing a lot of new, fun, gorgeous colors being added to the collection. I’m guessing that Curtain Call and Legend are going to be very popular, possibly the most popular out of all the new foiled shades. Limelight is stunning in person, so I hope to see some really creative looks with it. I honestly hope that we see Makeup Geek make Mars (from the MannyMua palette) permanent. I’d also love to see a deep matte burgundy with no brown tones added, too. I’m always happy to see more purples and greys, too. My favorites from the Makeup Geek Fall 2016 collection include Sorcery, Hype, Limelight, Curtain Call and Legend. From the mattes I like Bandwagon, Faux Fur, Bake Sale and Early Bird. I do think this is a much better release than the Spring 2016 collection. Oh, before I forget, Marlena gave an AWESOME sneak peek of a new highlighter that’s coming out soon. I’m really excited by it because it will work on pale skin, as well as people who love duochrome highlighters! Thank you for this Marlena! What do you think of the Makeup Geek Fall 2016 collection? Let me know below! I can’t quit looking at Epic if that is the orettt green one. I just love it. I don’t own any MG yet! I will someday. I know I’m so far behind. But money helps a lot. I know they r reasonable also. I would love to try all they have brushes and blushes and bronzer and heard lipsticks r coming. So cool. I really like when Marlena does a teaching video I call it. I have gone back and watched some of her old videos telling how to put colors together etc. I think she is a good teacher too. I enjoy her. I don’t know much else about her but the last 3 yrs. don’t really hear ppl complain like the do some. So think I’m ok learning from her. I really like this Fall coll also. Thanks so much for this and comparing to some they already have. It really helps me. Yes! I would love if they would make MARS permanent, it’s such a great, rich burgundy, it’s an amazing crease shade, it performs really well. I do see a lot of the earthy mattes for autumn like you said, they do look like they are great quality, but I do have a lot of the shades-I think they are a great dupe for say, the MELT Rust Stack(although I do really love that) these Foiled Shades are my favorite as well-I fell in love with their Foiled Shades from the Manny Palette-Curtain Call is definitely one I want to pick up-I LOVE how you did a shade combination/comparison between that shade, Burlesque, Cherry Cola and Steampunk!!!!!! So gorgeous. I also really want to try the Limelight shade because I don’t have anything like it! 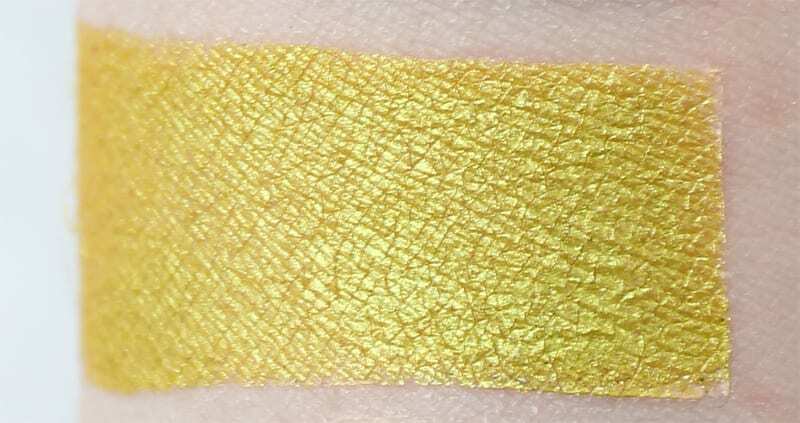 Great swatches, I’m excited about limelight! I was hoping it might be a half price dupe of KVD electric warrior or maybe melt’s Xenon? (I think those are the shade names). Is it comparable do you think? I think they’re in the same color family! Not exact dupes but definitely similar. The foiled ones are stunning. I’ve been wanting to try this brand for forever. I haven’t placed an order yet but I’m so glad you’re doing these posts all the time because I know exactly where I’ll look when I’m wanting to buy! So many unique and beautiful colors. So happy to help Justina! Those shades are all gorgeous. I wouldn’t kick any of them out of my home. The foiled are wonderful. I really want Take Two, Hype and Plot Twist. So many pretty colors–they do duochrome so well! There are some great shades there. I have been buying Makeup Geek a fair amount lately. Totally worth it! Glad you like them. Love the metallic shades, gorgeous! These swatches are so beautiful! I love the bronze shades. Glad you like them! I think you could easily wear Take Two or Legend. I do think that there are a lot of similar brown shades in the regular line with the new fall browns. I just hate brown eyeshadow on me (it goes muddy too easily) and don’t own all the brown shades, so I didn’t swatch all the browns together.